Beverley Knight has been quietly doing the business for the thick end of two decades. The likeable West Midlander, influenced by soul greats like Sam Cooke, has built a rock-solid career with her excellent soul voice and the knack of keeping up with an ever-changing UK R'n'B scene. From her 1995 debut album, 'The B-Funk', Knight has grown and learned at every turn and carved out an impressive CV in the process. Six studio releases to date include 2002's 'Who I Am', her third album which went gold and cemented her place as a genuine British soul great. She has a bigger trophy cabinet than her native Wolverhampton Wanderers too with three MOBOs (and seven nominations), a Lifetime Achievement Urban Music Award in 2007, three BRIT noms and a Mercury Prize short-listing for 'Who I Am'. Knight's even collected an MBE for her charity work. Her 2006 compilation album went platinum, earning Knight a slot supporting the reformed Take That. She has also hosted 'Beverley's Gospel Nights' on Radio 2. 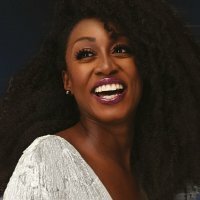 The announcement that an artist will be releasing an album of covers is frequently greeted with scepticism or disdain (or both) but when Beverley Knight said she'd be releasing 'Soul UK' in July 2011 - an album of soul covers - the news was met with genuine excitement. You see, Beverley Knight is the real deal. Which is why she is playing some of the nation's best venues when she tours this November. It is also why tickets will be in high demand. The tour begins at Liverpool's Philharmonic Hall on 14th November, ending 12 shows later at Bristol's Colston Hall on the 27th. In between, Knight plays such prestigious venues as Manchester's Bridgewater Hall, the Gateshead Sage and, surely the tour highlight, London's Royal Albert Hall on 16th November. Tickets go on sale on Friday 27th May at 10AM, typically starting at £22. Sat 8th Jun 2019 Beverley KnightMusic Hall (Aberdeen)More Info..